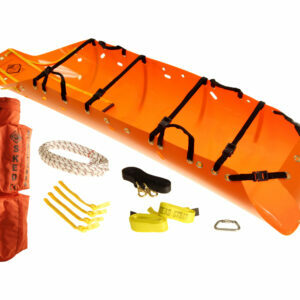 The 4:1 Micro Hauler Rescue Kit is a miniature version of our 4:1 Rescue Kit. 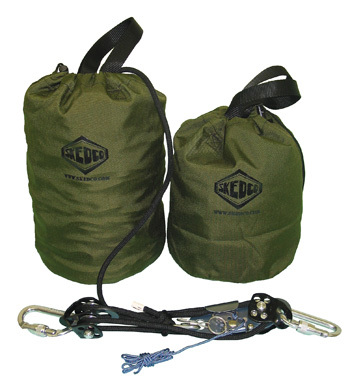 This Skedco 4:1 Micro Hauler Rescue Kit utilizes the Micro Hauler, a matching double pulley, 2 standard Aluminum ‘D’ carabiners, 1 screw link, the required amount of 7.5mm PMI escape rope (MBS 3,800 lbs), and a rope bag for storing the pre-rigged system. 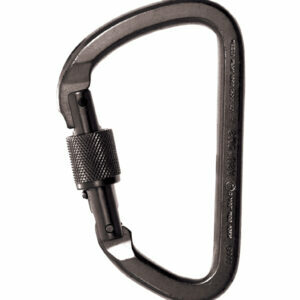 It can be attached to an anchor and ready to use in seconds. 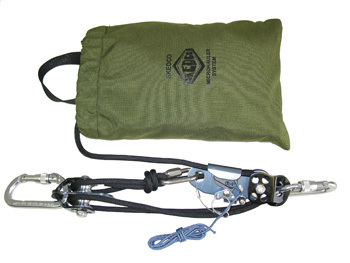 When ordering your Skedco 4:1 Micro Hauler Rescue Kit, remember that the rope length is determined by using 4 times the distance from the tripod anchors to the bottom of the hole. 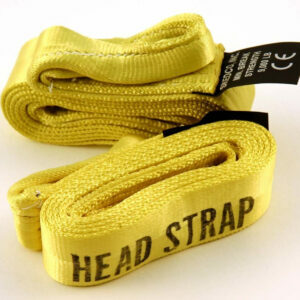 Our 3 standard kits are for 25’, 50’ and 75’ distance. 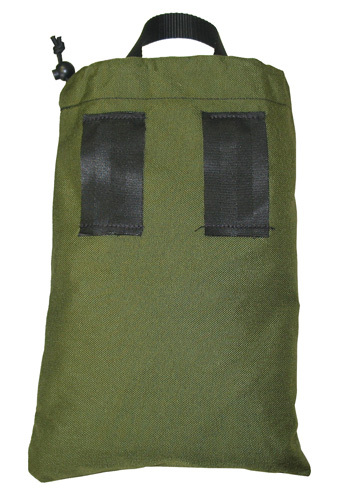 The 25’ 4:1 Micro Hauler Rescue Kit is in a flat bag with belt loops. The 50’ and 75’ Kits are in round bags that measure 8” in diameter and 12” or 15” tall respectively. All 3 bags have carrying handles at the top. All Micro Hauler Kits are rigged with the pulleys at a quarter turn from each other. 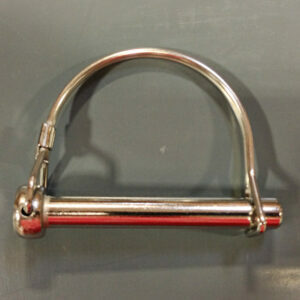 This will help prevent twisting of the ropes when hoisting long distance.